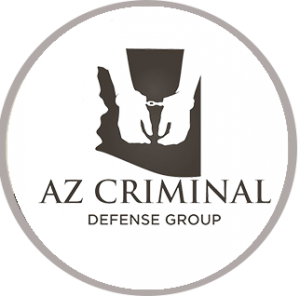 On September 11, 2014, the Arizona Court of Appeals District One ordered a new trial in the case of Vi Ann Spencer who had been convicted of Aggravated Driving Under the Influence. Ms. Spencer’s conviction rested partly on a blood-alcohol test administered to her at a hospital which revealed a blood alcohol level (BAC) of 0.296%. 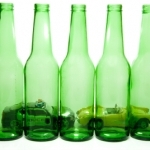 Arizona law classifies driving with a BAC of 0.20% or more as an Extreme DUI. 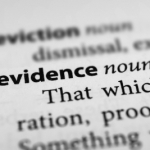 The Court invalidated the use of the evidence because it was not given voluntarily and remanded the case for a new trial that would not include the evidence resulting from the blood draw. The facts of the case are as follows: While driving, Ms. Spencer swerved her car off the roadway and hit a guardrail. The driver behind her stopped to check on her and then drove her to a fire station. Spencer told fire station personnel that she had suffered a seizure, and they urged her to go to a hospital. Ms. Spencer refused. A deputy who arrived at the fire station to investigate the incident noticed several signs of impairment on the part of Ms. Spencer — slurred and slow speech, a lack of focus, and the odor of alcohol. The deputy was concerned that she had been driving under the influence of alcohol or drugs and also may have had a medical issue. Ms. Spencer refused to go to the hospital, submit to field sobriety tests, or blow into a portable breathalyzer. At that point, the deputy told her she would have to either go to the hospital or be arrested for DUI. He did not give her the option of having someone else drive her home. The deputy gave her this ultimatum because he felt sure she was either intoxicated or having a medical issue that required treatment. Ms. Spencer then agreed to go to the hospital where personnel drew a blood sample. The deputy asked the hospital for part of the blood sample, and a subsequent blood-alcohol test revealed a BAC of 0.296%. Ms. Spencer was later charged with three counts of Aggravated DUI. 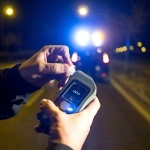 For additional information regarding this opinion please call an experienced Scottsdale DUI attorney. At trial, Ms. Spencer filed a motion to suppress use of the BAC evidence since it was obtained without a warrant and in violation of her constitutional rights. The Superior Court denied the motion and found her guilty of two of the charges. Ms. Spencer then appealed the conviction. 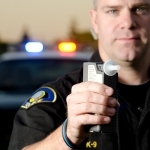 The Court of Appeals found that the blood draw was a search under the U.S. Constitution’s Fourth Amendment and that it required the consent of the suspect, a warrant based on probable cause, or exigent circumstances in which officers have probable cause to believe the person has committed a DUI. 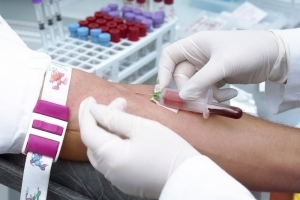 The court held that any blood draw based on exigent circumstances must involve not only probable cause but also the consent of the individual to the blood draw. Since Ms. Spencer agreed to go to the hospital only after having been threatened with arrest, the court held that the blood draw was against her will and therefore inadmissible under the Fourth Amendment. This case underscores an individual’s need for competent, persistent legal advice when faced with arrest for a DUI. 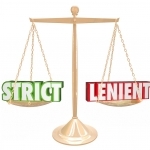 Issues not only of state law, but also of federal constitutional law can come into play. At Ariano & Associates we are available 24 hours a day, 7 days a week.